I’ve done a lot of things for a living over the years, and my next job after NASA was also one of the coolest. After getting the human race back into outer space, I helped get us into virtual space. I took a job at a startup virtual reality company back in 1992, I believe. Alternate Worlds Technology (AWT), which would eventually become Agora Interactive. 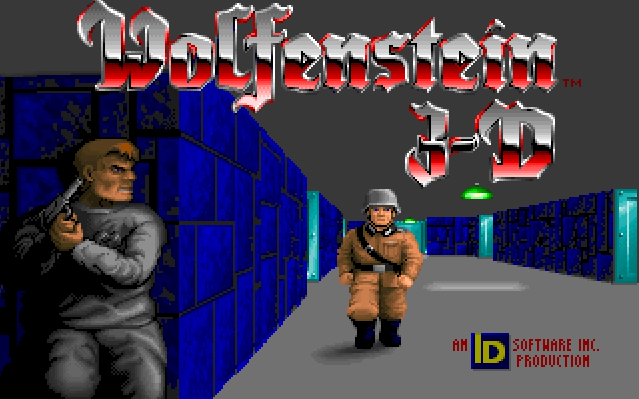 Wolfenstein 3D was the most popular PC game at the time, by a longshot. I recommend the book (or audiobook) Masters of Doom for an excellent history on the game, the creators, and the culture. Id Software was on my (very) shortlist of game companies that I’d have loved to work for. A group of friends made games that were so good, they earned millions each year from shareware (a “pay what you like” business model), which was completely unheard of. 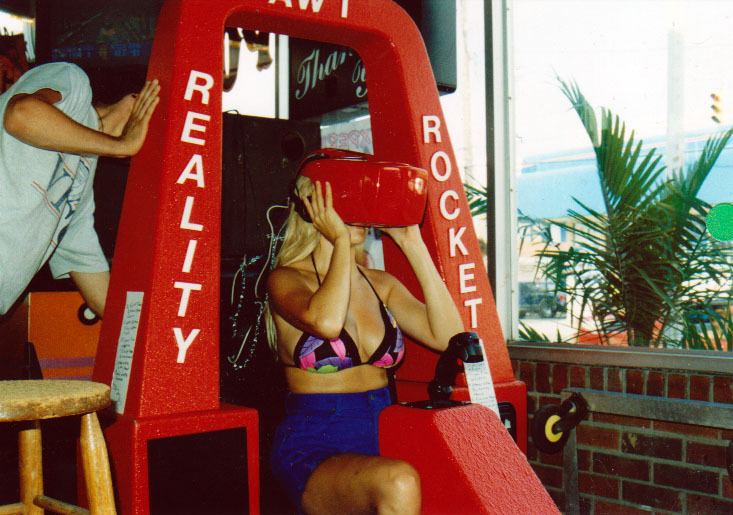 The Reality Rocket was a sit-down arcade game cabinet that could take any PC game, and pump it into a VR headset. 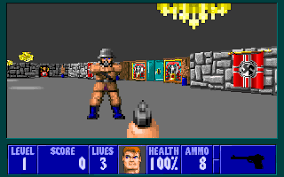 Players could see the gamescape as they ran down the hall attacking bad guys. They could also use the helmet to turn their heads to see around corners and such. My part of this project was to take that amazingly cool game, and reprogram the software so it would work with a virtual reality helmet, which I did. I also got to use my artistic skills to create new graphics and to “skin” the game differently just as that idea was beginning to grab hold of the developer community. The technology and the game cabinet had the potential to go far, but a few things got in the way. First, the VR tech wasn’t quite ready for long-term usage by most people. The graphics were low-resolution (CGA), and many people (5 to 10%) experienced some motion sickness. Second, the project’s financial backer had some… problems with law enforcement. I’m glad I got to work on such a cool project that let me help advance the state of the industry. But around that time, I was beginning to lose my taste for electronic games. At first, I’d considered game development to be a programmer programming a game. But over time, I felt more like the game was programming the gamers, and the whole experience began to sour for me. Even now, I’ll play some word games here and there on my phone, but my days of electronic action gaming are decades-long gone.